How awesome is it that we have enough available rockets to even create such a thing? Am I right? I’m naturally inclined to be counting this down (for obvious reasons) but, it’s a trail. So, best not. 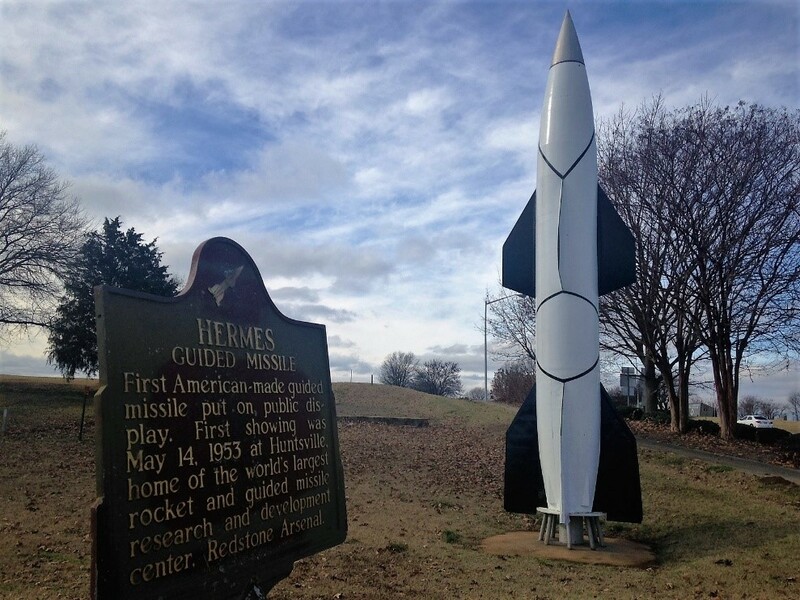 Just like the sign says, this baby was the first American-made guided missile put on public display, ever. If you ask me, totally worth jumping off Memorial Parkway at that Airport Road exit. 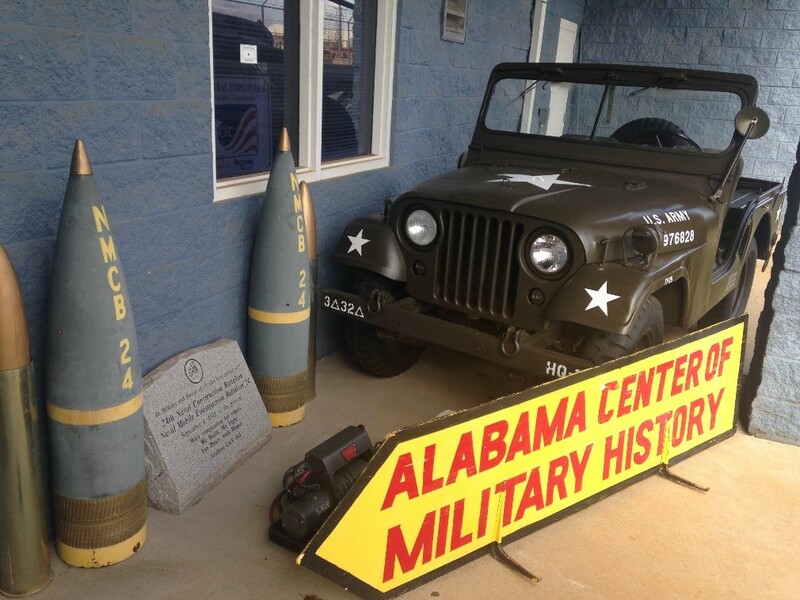 BONUS: She’s located just across Airport Road from one of Huntsville’s hidden treasures, the U.S. Veteran’s Memorial Museum. This place is jam-packed with amazing, one of a kind pieces of history. You must go! Do it now. I’ll wait here. Okay, it’s not technically a rocket but…COME ON! 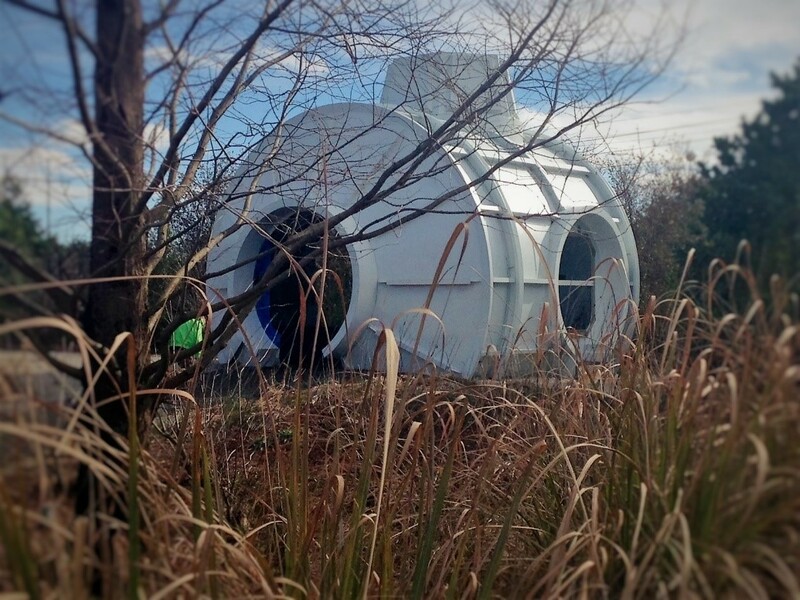 This connecting node was originally built in 1988 by Boeing in Huntsville as an engineering mock-up for the Space Station program, which eventually became the International Space Station. 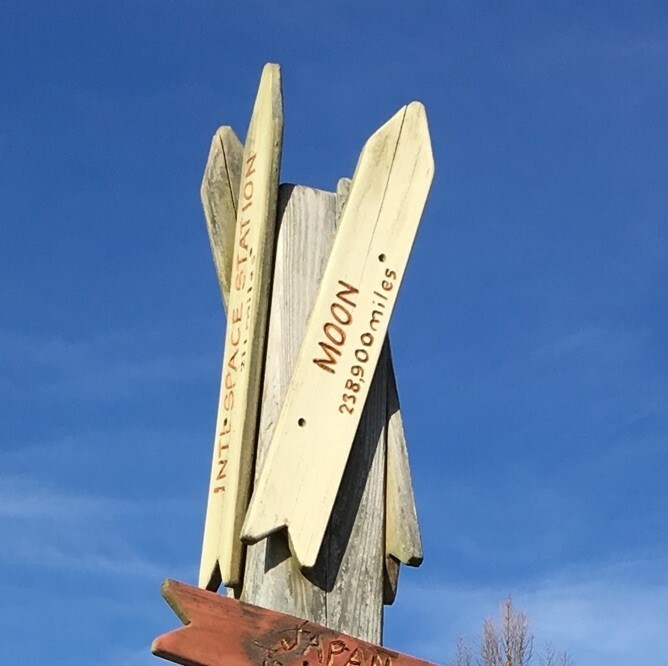 In 1994, NASA gave this bad boy to the Huntsville Botanical Garden to be used as part of an educational exhibit, and it’s now located in their Children’s Garden along with these extremely helpful signs. 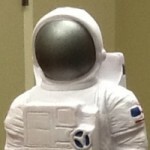 Space is so much a part of who we are, rockets practically spring right up out of the ground! 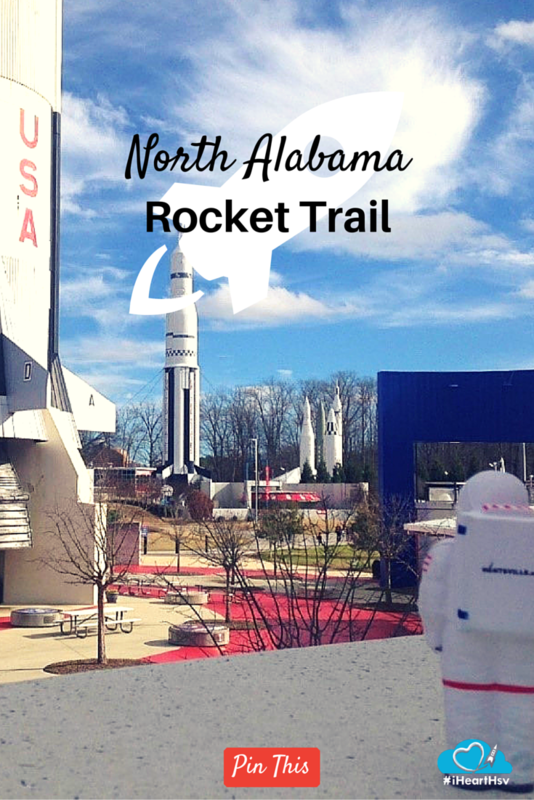 Called “the finest rocket collection in the world” by Mercury astronaut John Glenn, the granddaddy of all rocket stops, and a trail all on its own - Rocket Park at the U.S. Space and Rocket Center! 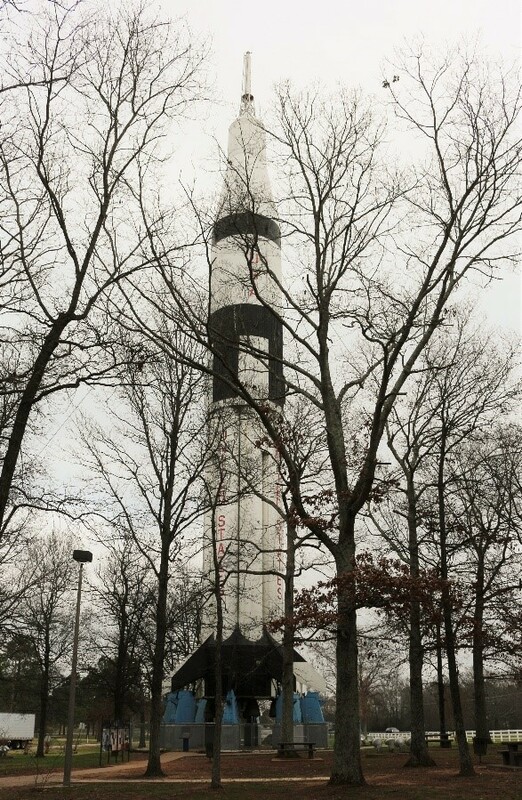 You’re going to need to set aside some time for this because the park contains 27 missiles and rockets, putting on full display how Army rocketry launched America’s space program and gave rise to NASA’s Marshall Space Flight Center. 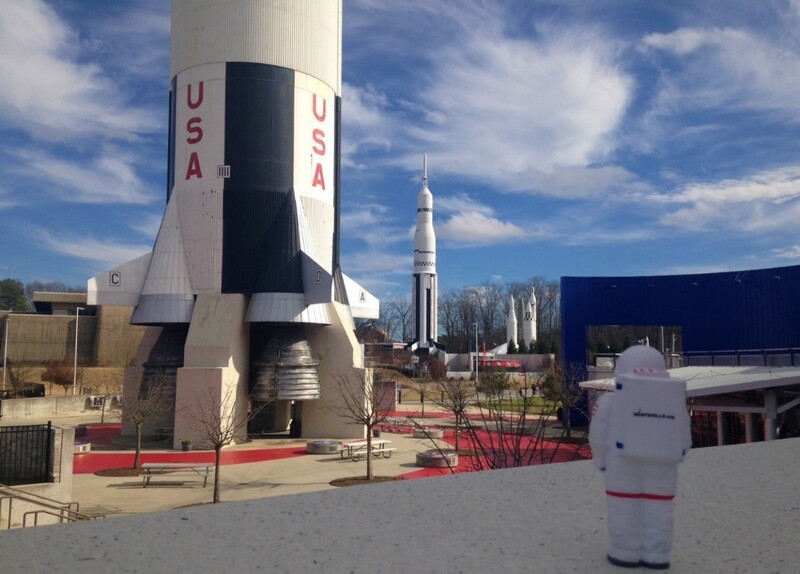 Not to mention that there’s a Saturn V and the world’s only fully-stacked Space Transportation System (STS) that includes two solid rocket boosters, genuine space shuttle main engine nozzles and a genuine external tank only a few steps away. Like I said, clear your schedule! 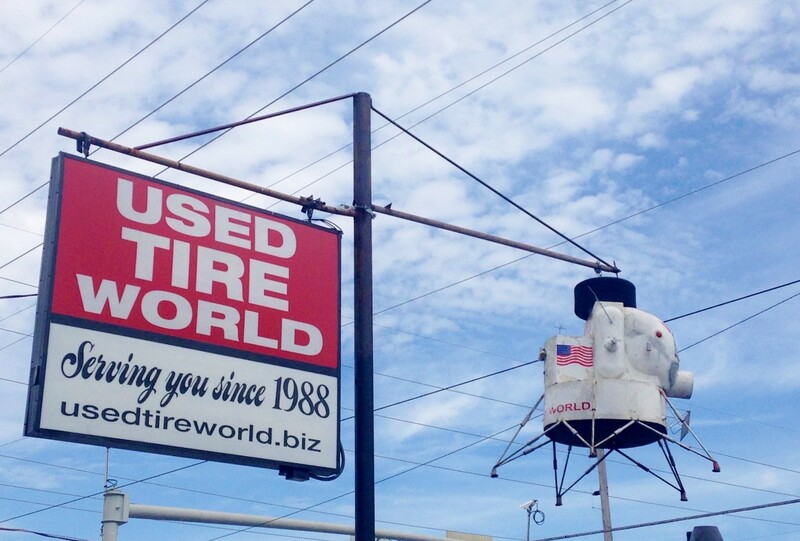 Yep, you read that correctly, there’s a Lunar Lander model perched atop the Used Tire World sign located on Governors Drive. I don’t actually know the answer to this question, but I think we can all agree that no matter how it got there, it’s pretty awesome! So let’s do this, people! 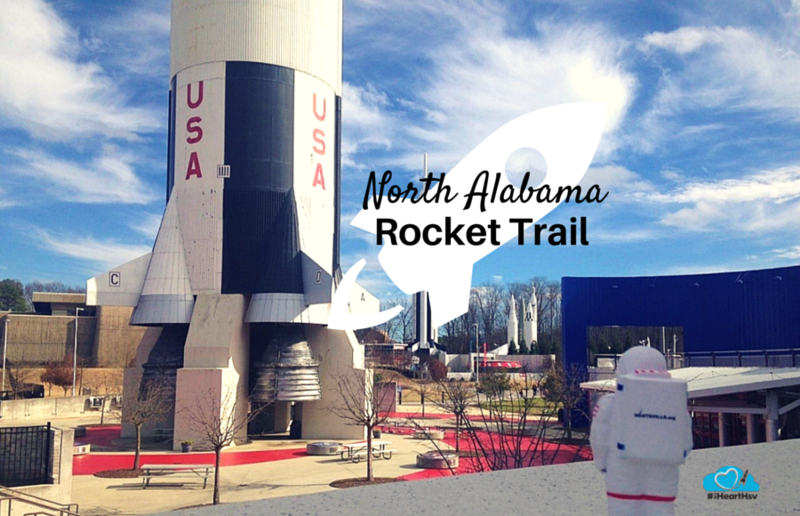 Put down that trail mix, pick up some Tang and blast off on one truly “out of this world” road trip!